Download the AMD Catalyst 13.11 Beta 9.5 driver. This Beta driver works with Windows 7, 8 and 8.1. AMD Catalyst Mobility is a notebook reference graphics driver with limited support for system vendor specific features. When used with Windows Vista or Windows 7, the user experience may be limited or compromised. The Installation Verification Software is designed to prevent driver download on certain notebook products. This is to help protect against the installing of drivers that may disable features or functionality provided by the system manufacturer. When used with Windows Vista or Windows 7, the user experience may be limited or compromised. In such a situation, it is recommended to revert back to the driver provided by your system vendor for your specific platform. Please contact your system vendor for the most recent drivers for your notebook. My guess Mantle will be here in 13.12 in about two weeks. Mantle really needs releasing for a working game. 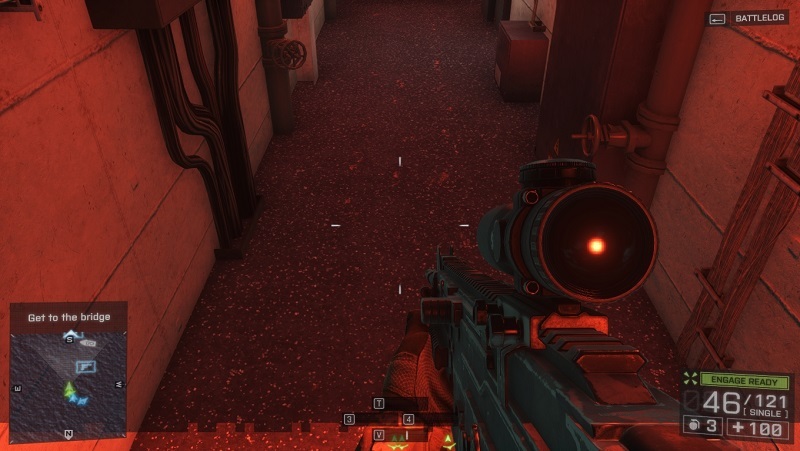 I had only one issue with BF4 (campaign) where I couldn't resume at a checkpoint (it would CTD at loading). Other than that; the experience was smooth and problem-free from what I can recall. Can't speak for multiplayer though. I'm also "somewhat" sure the Mantle patch on its own won't just include Mantle, but probably some other miscellaneous fixes too, not to mention there might be some other patches that fix some issues before then too. Don't have any of them issues never have. My only problem I did have was server crashing. And what if the problem that's happening now is something about dx11.1? I don't have the game, as no interest in it, but can see from reading the massive thread in the games section that its broken, theres loads of probs with it. When are we going to get drivers for black flag? Always remember those who have issues complain. Those that's don't have issue don't. Do these drivers resolve the corruption seen in the Battlefield 4 campaign during the south china sea mission? It's when you're aboard the ship with the flashing red lights. I swear I've tried various Radeon cards and they all have the same problem. Everyone's going to hate me for being a Spelling/Grammar Nazi, but Frame Pacing*. What is the deal with these 13.11 betas and the 7790? Its either driver stopped responding or they have terrible performance.With these in particular gpu-z shows like 95-99% gpu utilization all the time like its stuck. And absolutely terrible framerates in all games i have tried.I have submitted many bug tickets about this issue.The only newer drivers that seem stable are the 13.10 beta 2.Could anyone else with a 260x or a 7790 chime in on this to confirm its a widespread issue thanks! Here is pic of problem I am talking about. I wish people just finished their work. It's like releasing a ship from the shipyard without the hull. "We'll just send you the hull later, enjoy the sails in the meanwhile!" Oh well. Haven't seen any graphical glitches today, maybe they did do something in the PC patch. More like releasing a motor boat without the motor. Here are some sails, well send you the motor later. The reason they do it is 100% because they can get away with it without losing a penny. In the olden days, games didn't have the infrastructure to shell out updates, especially on consoles. So the product they released better damn well be the "final", tested product. PC games had a bit more access to updates, but the system wasn't built in to the games, and required manually checking obscure, out-of-way sites. But these days, companies know that they can "fix it in post", so to speak (film terminology). They can release a steamy beta pile of crap, everyone will buy it up, and then the company can essentially continue "development" on it in the coming weeks and months by rolling out updates. That's essentially what it is -- retail beta testing. And companies see they can get away with it without any penalty, whatsoever. Installed drivers. They're ok, still have stuttering screen as some other 7970 users did. 7790 have many problems i dont know why..
AMD Link is AWFULLY slow. Arf... I'm going to try anyway but you destroyed all hopes i had lol. Yup same here, tried the memory clock mod, but still no love. 7790 working good? or have problems? i7 920 @ 3.7Ghz should be plenty for BF4... Something else is wrong there. When the 2D flicker gets too serious, it will trigger event "driver has stopped responding and recovered etc", in which if you try to run any 3D games after the event, those 3D game will lag and gpu-z will report max VRAM and GPU core utilization. Only Windows restart will restore the behaviour back to normal. As long as the driver recovery event is NOT triggered by the 2D flicker issue, those 3D intensive game will run just fine. 13.10 WHQL doesn't have any problem. Been making a lot of report to AMD Feedback Survey stuff. Not much hope. trolling? just because with console you get what you get, doesn't mean its perfect. I think it will benefit mostly the cpu, and maybe some other issues. The big overhead of direct x is on the cpu.